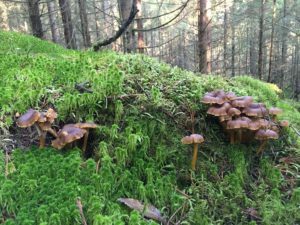 Fancy foraging in West Sweden with us? We’re putting out feelers to see if there’s enough interest to arrange a 2 day foraging course in West Sweden this year. Potential dates are Thursday and Friday 10/11 October or Friday & Saturday 11/12 October. We’ve chosen those dates as Ryanair will be flying direct on Wednesdays and Sundays to Gothenburg from Manchester starting in April, and flight times are very convenient. At the moment a return flight is around £70. We are setting a limit of 12 people on the forays which will take place on both days. 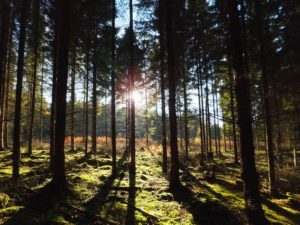 We’ll go out into the forest all day, taking a packed lunch with us, then have a fry up of mushrooms when we get back to base, which is our property on the island of Orust, about 1 hour 30 mins from Gothenburg. If we get enough interest to go ahead the price will be £90 per foray which will include a whole day out in the deep unspoilt forests of West Sweden, a grilled sausages/mushroom fry up afterwards, plus lots of practical tips about drying, pickling or cooking with wild mushrooms. Participants will be able to take home some of their own dried mushrooms! 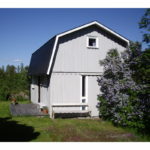 We have many suggestions for hotel or self catering accommodation nearby, including a separate fully furnished house on our property with a double and a triple bedroom, that can be hired per room if you don’t mind sharing the house with others, or the whole house if you have friends who might be interested in foraging in Sweden too. If you are interested in that option we can email more information to you. Accommodation at our house will be self catering, and price per room per night is £50. Shared use of kitchen and bathroom. If you want to stay longer and use the property as a base to explore more of the area that option is also available. Get in touch by email, phone or pigeon post if you’re interested!